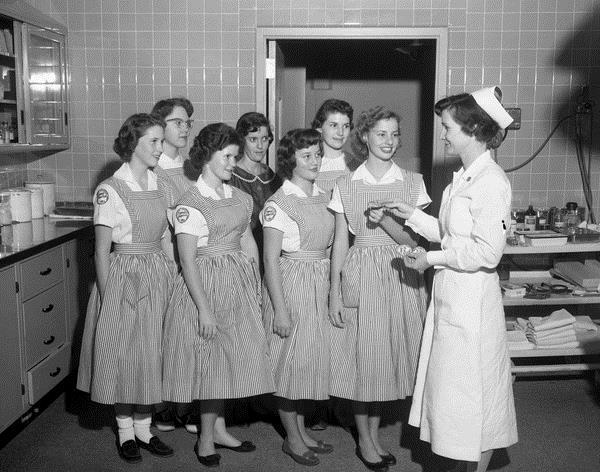 These “candy stripers” – female teenage volunteers who assisted in hospitals and other healthcare settings – show that young people volunteering in healthcare settings is a time-honored tradition. Many healthcare organizations rely on volunteers. Often they are a bulwark in the ongoing challenge to provide care and comfort to patients in need. Finding and recruiting great volunteers requires a well-planned effort that should include earned media outreach. In the U.S., the importance of volunteering and the underlying commitment to service and community remains strong. Services provided by volunteers are of considerable importance not only to individual patients but to the health care system in general. In the world of hospice, for example, Medicare rules require providers to have at least five percent of their services delivered by volunteers. That’s why it’s vital to have a steady supply – earned media can help draw new volunteer applicants. When we undertake earned media campaigns specifically to attract student volunteers on behalf of our healthcare clients, we typically begin in February. That gives us time to cover our bases – including PSAs for local radio and TV, if appropriate; outreach via the community or local news sections of local papers; hyper-local news sites such as Patch, or Topics. Social media also plays a key role – Facebook and Twitter feeds are ideal avenues for reaching interested followers who can alert would-be volunteers or make recommendations. In addition, specialized websites such as VolunteerMatch.com can be a catalyst for attracting new volunteers to your organization. Particularly in healthcare settings, organizations require that volunteers be at least 16 years old; pass a criminal background check and drug screening; and be able to show proof of immunizations, PPD shots, flu shots, and undergo orientation and training. Student volunteers of high school or college age can be a tremendous source of energetic and enthusiastic helpers. But how do you reach them? Understand what’s most important to them. Typically, student volunteers will have a high level of curiosity about healthcare professions, an interest in learning how to be of service to a healthcare provider or a community organization, or perhaps they are looking to satisfy community service requirements required by some schools. Understanding their motivation will help you craft a more effective outreach message. Tell Them What’s Expected. In crafting your outreach message, it’s important to be upfront about what is expected in terms of time commitment and what kinds of duties they will be fulfilling. Our hospice client asks students to be willing to donate as little as 45 minutes per week. But what they will get in return is generally much more valuable (a theme emphasized in the earned media effort) – the ability to fulfill community service hour requirements, hone their social abilities, boost self-confidence and develop new skills. Often, volunteers are simply asked to be present with patients – sharing favorite activities like reading, card games, playing music, or arts and crafts. Volunteers can also handle vital but often overlooked duties such as running errands and providing respite for family members. Make It Easy. In today’s web-based world, you should make as much information as possible about the volunteer experience – including an online application – available in an easy-to-find location on your organization’s website. Be sure to include the links in your news releases and PSAs. This will also help drive traffic to your website as well as provide the media with a reason to provide link-backs to your site. Also make sure to provide the name and contact information of an individual who can respond promptly to questions and provide additional details that a would-be volunteer may have. Volunteering can be a rewarding experience – for both the volunteers and the organizations that sponsor them. Attracting the best volunteers is similar to attracting great customers. To be successful, you first need to understand their needs, and develop a creative and comprehensive outreach program that fully exploits earned media to attract them to what hopefully be a mutually rewarding relationship.